The White House Ornament Collection presents the Official 2011 White House Ornament Gift Set. SAVE BIG when purchasing this collectible gift set. 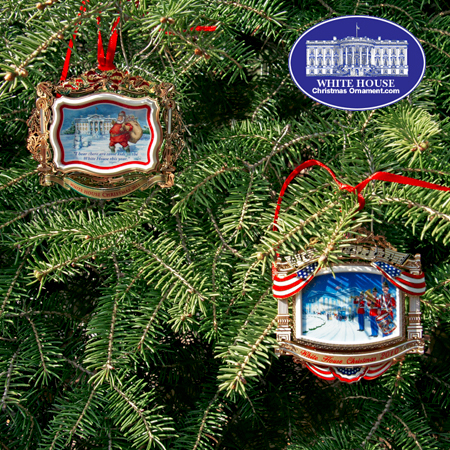 Whether you forgot last year's ornament or you want to start a new collection the 2011 White House Ornament Gift Set will save you both time and money. Receive a significant discount when you purchase these two beautiful, official White House ornaments together.